(ANTIMEDIA) An endless sea of money flowing into the field of military technology creates constant advancements in new and terrifying ways to die, and the Defense Advanced Research Projects Agency (DARPA) is on the front lines in that mission. 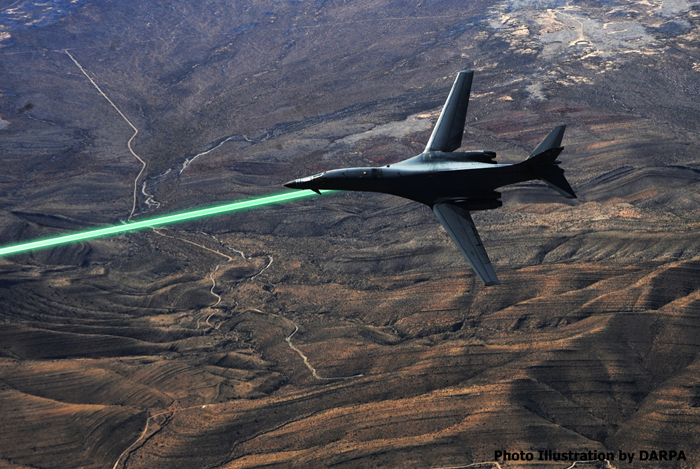 DARPA’s latest defense system, HELLADS, is one step closer to arming aircraft and drones with an exceptionally powerful and destructive, weaponized laser beam. This article (The Latest In Terrifying Ways To Die: DARPA’s Airborne ‘Death Ray’) is free and open source. You have permission to republish this article under a Creative Commons license with attribution to the author and TheAntiMedia.org. Tune in! The Anti-Media radio show airs Monday through Friday @ 11pm Eastern/8pm Pacific. Help us fix our typos: edits@theantimedia.org.